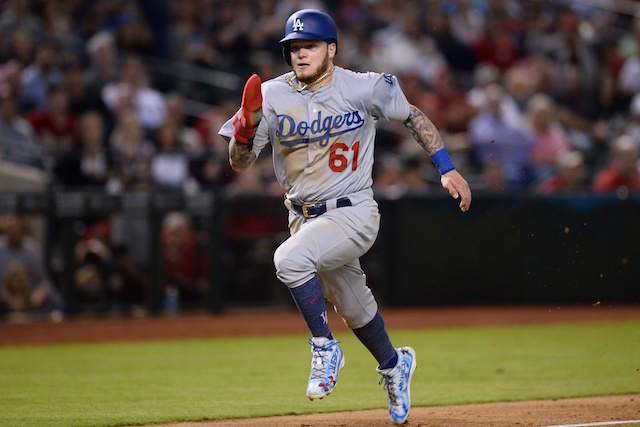 The Los Angeles Dodgers had four players named to the Baseball Prospectus top 101 prospects list for the 2019 season, led by Alex Verdugo at No. 19. Dustin May was ranked 27th, followed by Keibert Ruiz at No. 31 and Will Smith No. 59. Additionally, three former Dodgers prospects also made the top 101: Yusniel Diaz (No. 44), Yordan Alvarez (49) and Oneil Cruz (91). Verdugo has made the Major Leagues briefly in each of the last two seasons with the Dodgers. In 37 games in 2018, he hit .260/.329/.377 with six doubles, a home run and four RBI. He spent most of last season with Triple-A Oklahoma City, where he hit an impressive .329/.391/.472 with 19 doubles, 10 home runs and 44 RBI. May had a bit of a breakout season in 2018, splitting time between High-A Rancho Cucamonga and Double-A Tulsa. In 17 starts for the Quakes, May went 7-3 with a 3.29 ERA and 1.10 WHIP. Then in seven starts with the Drillers to close out the season, the 21-year-old was 2-2 with a 3.67 ERA and 1.14 WHIP. Overall in 132.2 combined innings between the two levels, the right-hander pitched to a 3.39 ERA and 1.11 WHIP with 122 strikeouts and 29 walks. Ruiz, who was recently ranked the No. 3 overall catching prospect in baseball by MLB Pipeline and a top 100 prospect by Baseball America, spent the entire 2018 season with Tulsa. The 20-year-old slashed .268/.328/.401 with 12 home runs and 47 RBI in 101 total games. Smith is a catcher that is also very highly-regarded in the Dodgers organization. At 23 years of age, he is a little further along than Ruiz is. 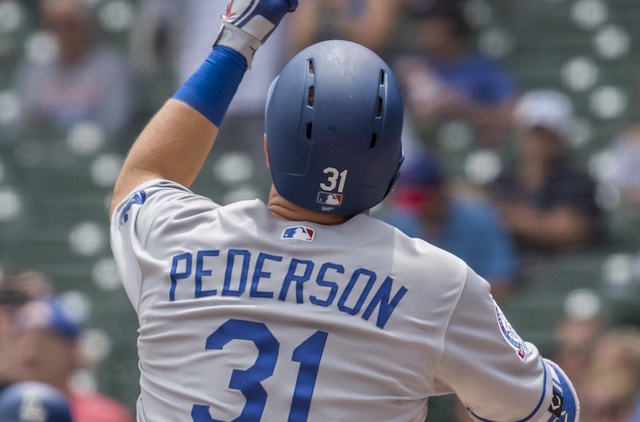 He split time between Tulsa and Oklahoma City in 2019, hitting a combined .233/.322/.455 with 20 home runs and 59 RBI in 98 games. Baseball America also released their annual top 100 list on Wednesday, and they felt slightly different about the Dodgers top prospects.